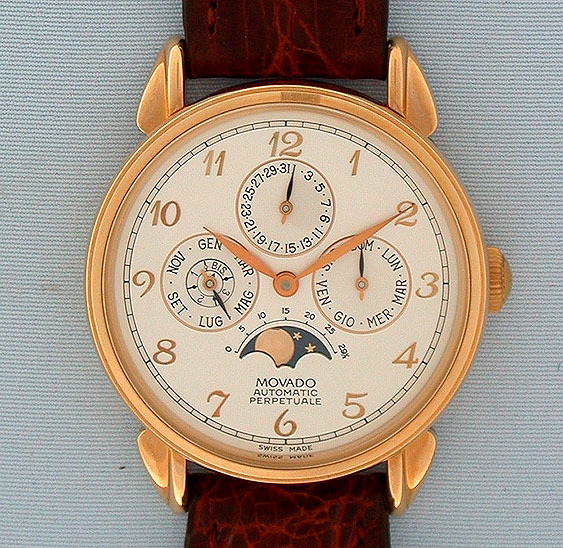 Fine Movado 18K gold automatic moonphase perpetual calendar wrist watch circa 1995. The dial with subsidiary indications of day, date, month and year with moon aperture. 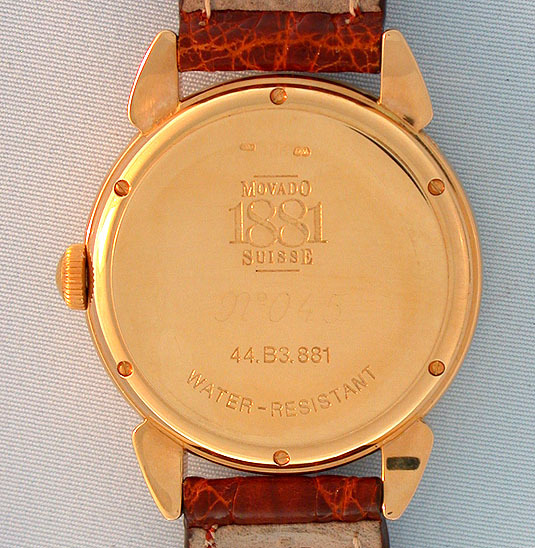 21 jewel calibre 2890-9 movement. 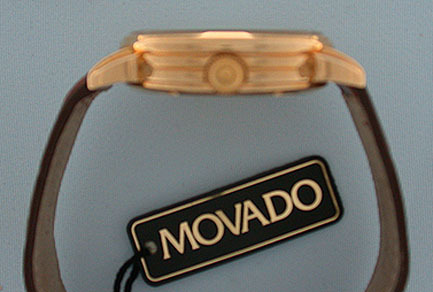 With Movado box and hang tag.